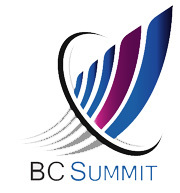 In this Industry Buzz podcast, the UCStrategies Experts review the recently concluded BC Summit 2016, held November 1-3 in Palm Springs, California. Discussion topics include overall impressions and takeaways, trends seen in this year’s agenda, the new venue (La Quinta Resort & Club), and sponsors that shaped the event. Jim Burton moderates the conversation, with UCStrategies Experts Michael Finneran, Marty Parker, Blair Pleasant, Dr. Joseph Williams, Jon Arnold, Dave Michels, Kevin Kieller, and Steve Leaden.